Horror movies have always had, and always will have, a special place in my heart. When family movie night would roll around each week when I was a child, we would either watch one of the Harry Potter movies or a complete horror movie. This is one of the few major parts of my childhood I have carried on throughout my years. Here are my reviews on 5 of the best horror movies out there! This movie is about a little girl who moves with her neglecting mom and dad into a new apartment (Pink Palace Apartments) where two other parties live. Coraline hates living there because it is so boring and spends most of her time exploring to make time go faster before she starts school. One night, she finds something that seems wonderful at first glance, but she soon discovers it is not what it seems…Coraline is a movie that holds a SPECIAL place in my heart. A lot of my memories with my sisters as babies include forcing them to watch this perfectly creepy movie. The aesthetics… the character development… Coraline HERSELF… the sidekick cat… everything is AMAZING and I really recommend you watch if you have not already. This movie starts off with the ‘Avon Lady’ walking around the neighborhood, trying to sell her products. Since no one was buying them, she decided to try to sell them at the mansion on top of the hill, which was said to be haunted. 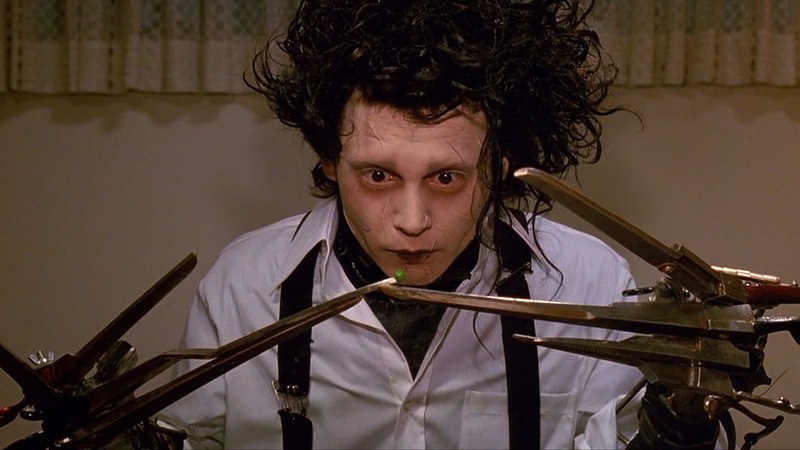 There, she finds a man with scissors for hands who she takes to her house to take care of him. He faces a lot of struggles in this modern life, but manages to keep busy by beautifying the town in more ways than one. The room he sleeps in belongs to the ‘Avon Lady’s’ daughter, who he falls madly in love with and would do anything for. I strongly believe this movie does not get as much recognition as it should. The AESTHETICS OF THIS MOVIE!!! THE CONTRAST OF EDWARD AND THE TOWNSPEOPLE!!! The colors of the town houses are probably my favorite part. And the whole story in general… it is just genuinely amazing (to watch and to listen to). I’m also a sucker for a good love movie, so love and horror in one movie equals a happy Shelby. This, like Coraline and It, has more of a deep story with a few aspects of horror, but it still gets the job done. Michael Myers, a six-year old child, brutally kills his older sister one night and gets locked up for fifteen years. When he is released at age twenty-one, he goes back to his hometown in Haddonfield, Illinois and attacks multiple other teenagers, but ONLY on Halloween. I love any movie with teenagers as the main characters. I’m not sure why, but I have always found them interesting. (Only adding to the perfect kind of movie in my eyes… it takes place in the 70s). This movie is not really scary, but more interesting to learn about each character and why Michael does this. My sisters, who are 9 and 10, said this movie was funny to watch because the main teenage character did many dumb things throughout. And, to be honest, this was the 70s… the acting was not all that great. This is just a CLASSIC horror film you need to see once in your life. Don’t fall asleep… If you do, you will die. After two girls have a nightmare about the same man and one of them dies, the other one discovers what is truly happening. A man in a red and green striped sweater kills with his razor hands, but only when people are sleeping. What I have learned from these movies is kids are a lot smarter than adults. Oh, and, the police are always unhelpful. This movie, like Halloween, is not very scary, but it has a very cool idea. What happens in their nightmares happens in real life, unless they do not let it happen. 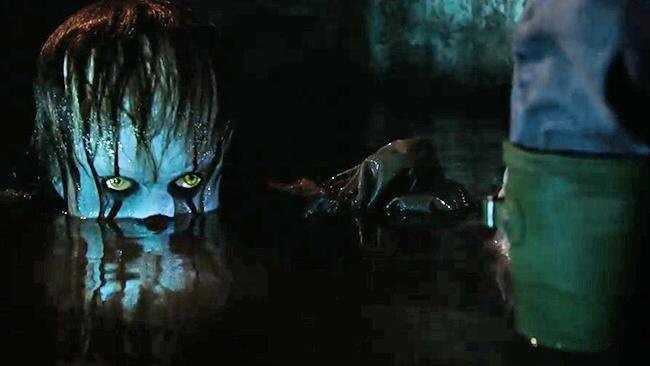 Overall, if you think you’re afraid of scary movies, pay more attention to the story behind the characters than the actual characters themselves. All of these are just like any other good movie… This movie especially is a good beginner horror film because it is kind of scary, but not scary enough to give you nightmares for weeks. Watch all of these in a dark room by yourself at 3 AM, covered up with a blanket with nothing else to accompany you for a REAL scare and a lot of entertainment. Also, if you want to fangirl about any of these movies, my DMs are open.